© 2012-2019 HighCamp Productions, Inc. All rights reserved. 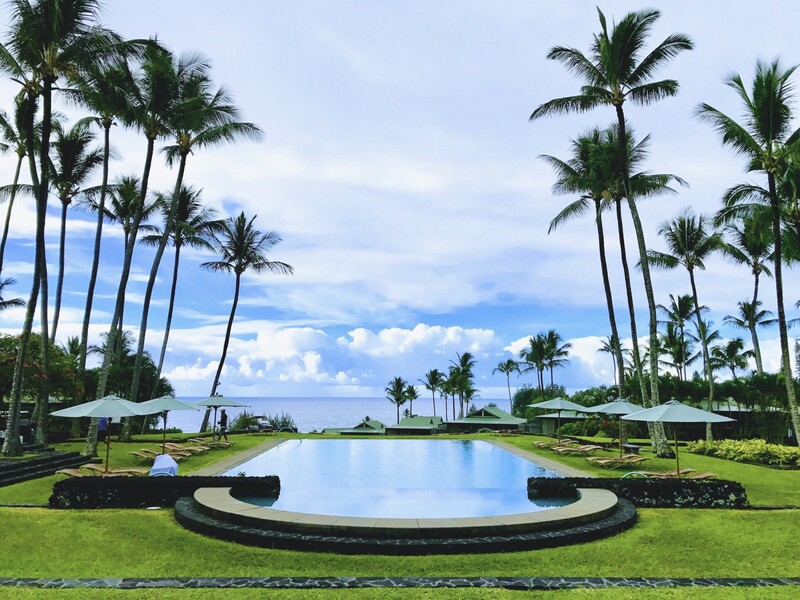 If you want to drive the Road to Hana at a more relaxed pace, and stay for a night (or three) in the Hana area, Travaasa Hana (formerly known as the Hotel Hana Maui) is the best bet for the luxury traveler. 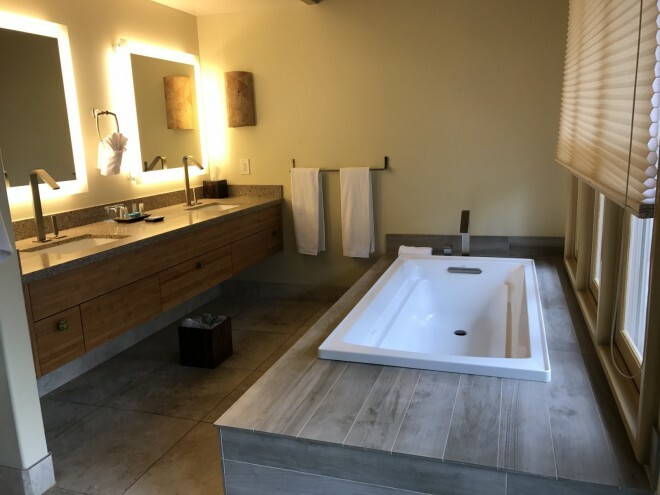 There are other options in town (including Airbnb properties), but if you want a full-service property, Travaasa is the way to go. 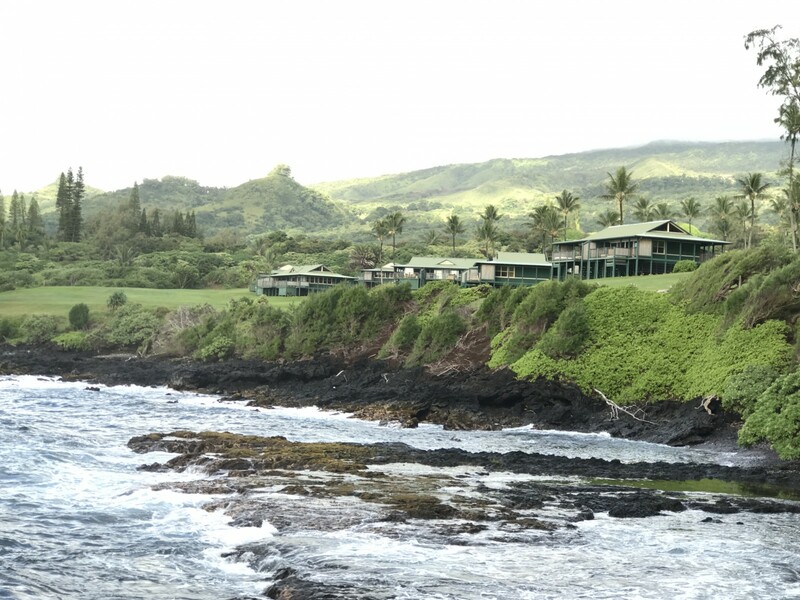 Travaasa also offers a stay three nights and fly for free promotion that allows those who want to skip driving the Road to Hana altogether. Not all rooms at Travaasa are created equal. The Ocean Bungalows are located across the street from the main hotel complex, near the pool and fitness studio. They are more expensive than the Garden Junior Suites and worth every additional penny. Our first room was a Garden Junior Suite and only had a standing oscillating fan for cooling. It was tolerable but not pleasant. 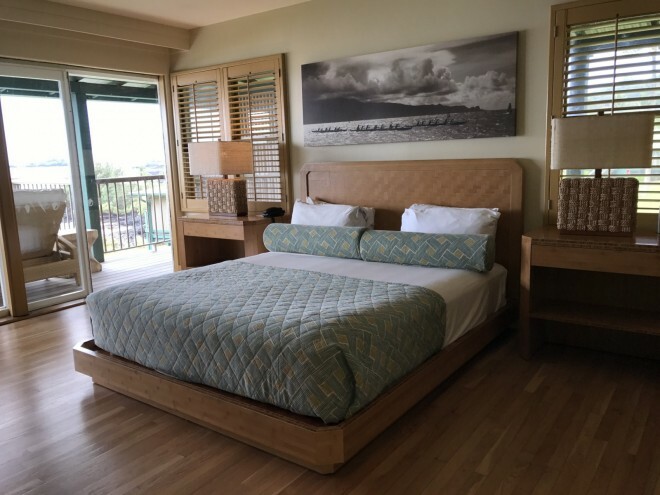 The Ocean Bungalows had lovely breezes coming off the water, and newly refurbished bathrooms. It was a much more pleasant environment overall. 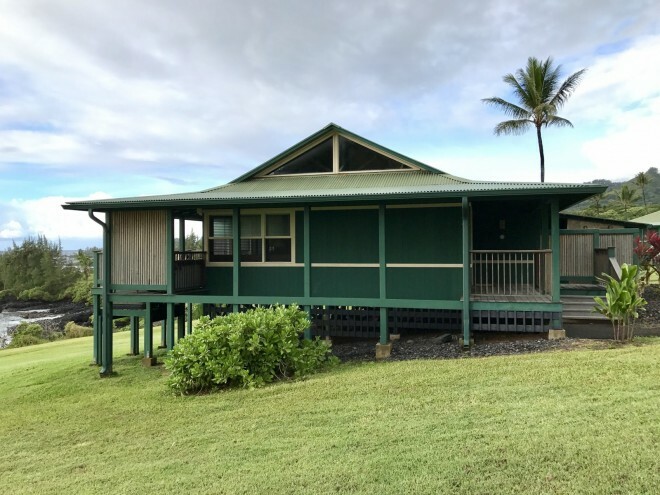 The ocean bungalow also had a spacious lanai (balcony) which was great for viewing the sunset or enjoying a drink. 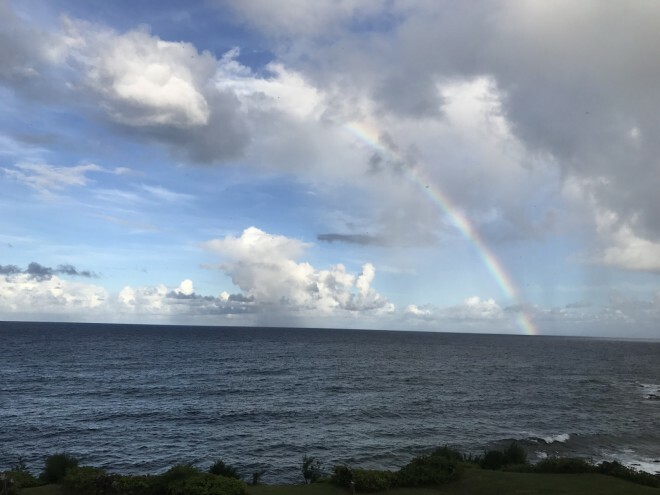 I shot this time lapse of a rainbow appearing from my ocean bungalow at the Hotel Travaasa Maui. 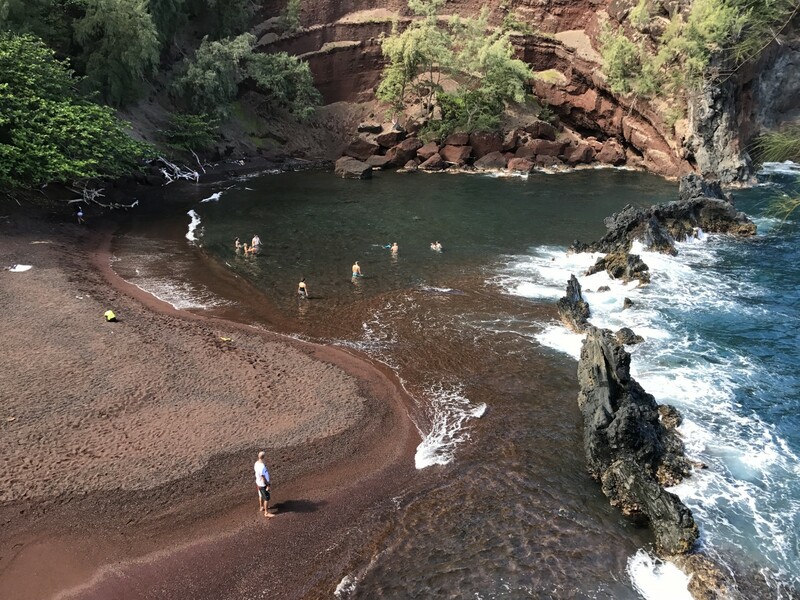 While the Hotel Travaasa does not have it’s own beach, it’s a mere 10 minute walk from the property to Hana’s gorgeous Red Sand Beach (also known as Kaihalulu). Hana is not a highly populated area and while all the hotel staff were very nice, service was uneven. The bellman who showed us to our room the first night (a Garden Junior Suite) did not point out where the hotel’s pool was located. When we ordered cocktails from room service, they failed to make note of our room number and we had to call back. The staff made up for the error by comping the round of drinks. 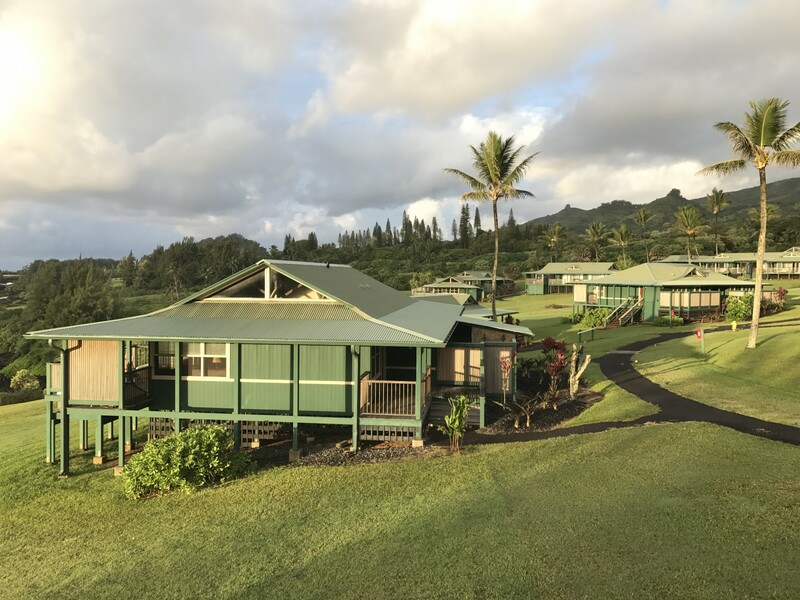 Tennis courts and a rec room are some of the other facilities on the Travaasa Hana property . Travaasa rates can be all-inclusive or priced a la carte. We opted for a la carte and think it was the right choice. While there isn’t a wide selection of full service restaurants in the area, there are several food trunks that served tasty tacos and bbq that are perfect for lunch or a quick snack. All rooms come stocked with coffee makers and banana bread, a local specialty. Travaasa also offers a schedule of cultural, culinary, and adventure experiences as well as fitness classes. Some are free, others are offered for an additional fee. There is also a spa on the property. 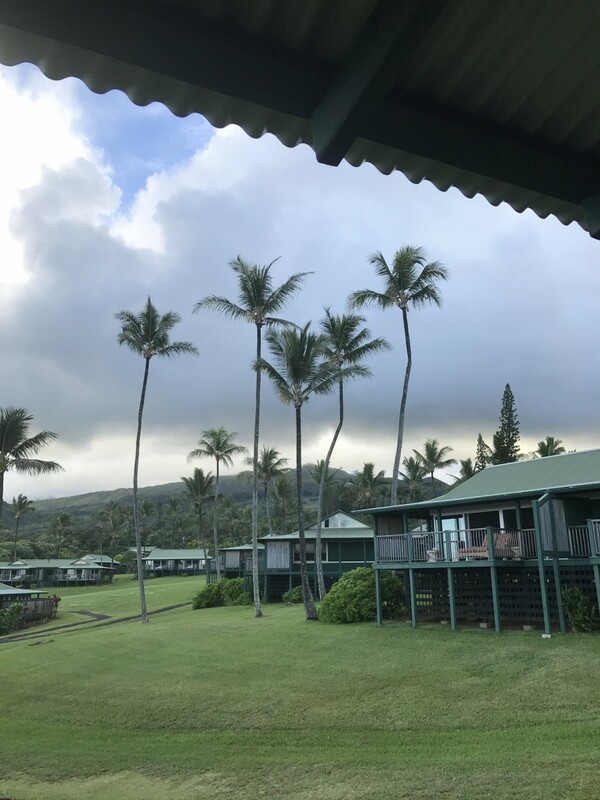 I can’t vouch for any of the classes or spa services since we used Travaasa as a home base for Hana and spent most of our time off the property exploring the area. The spa and fitness class space did however look lovely. 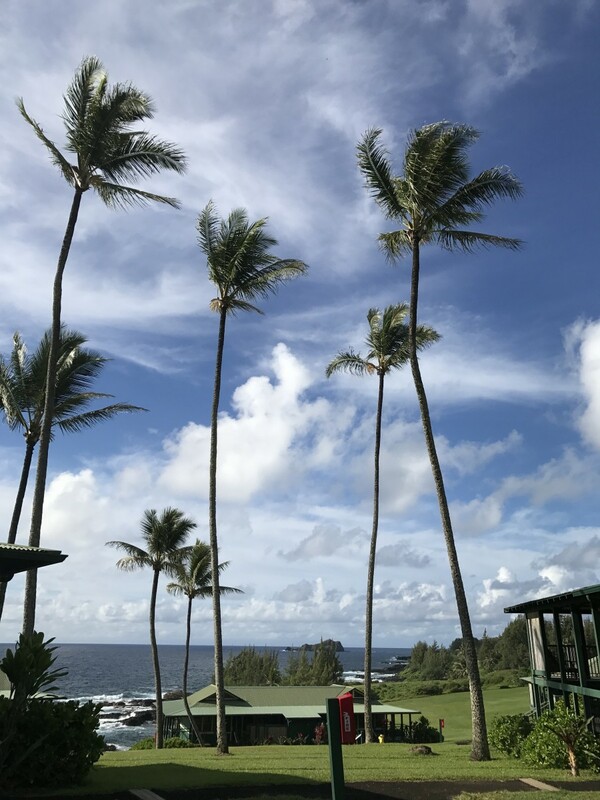 I really enjoyed Hana and would happily stay at Travaasa Hana again. 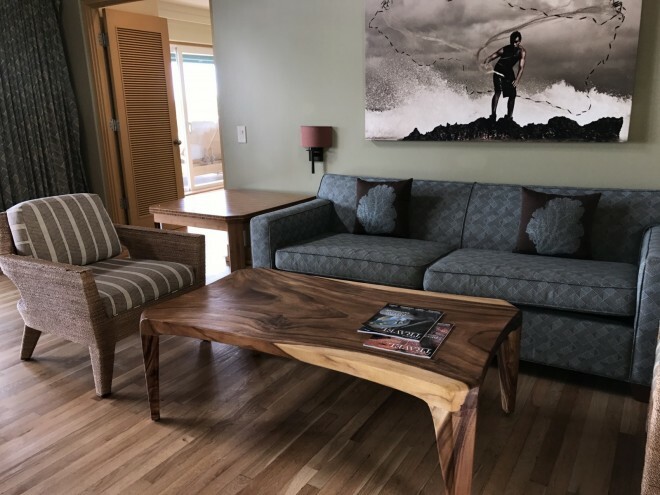 But I’d be sure to book an Ocean Bungalow and I’d want to have my car with me so I could continue to explore the area and not be isolated on the property. 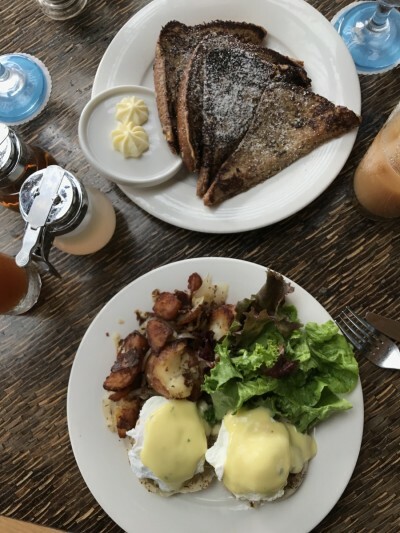 The restaurant on property was fine but not exceptional, and service is more laid back than you will find in the other resort areas of Maui like Wailea or Kaanapali. Travaasa isn’t cheap but I’d happily stay here again. 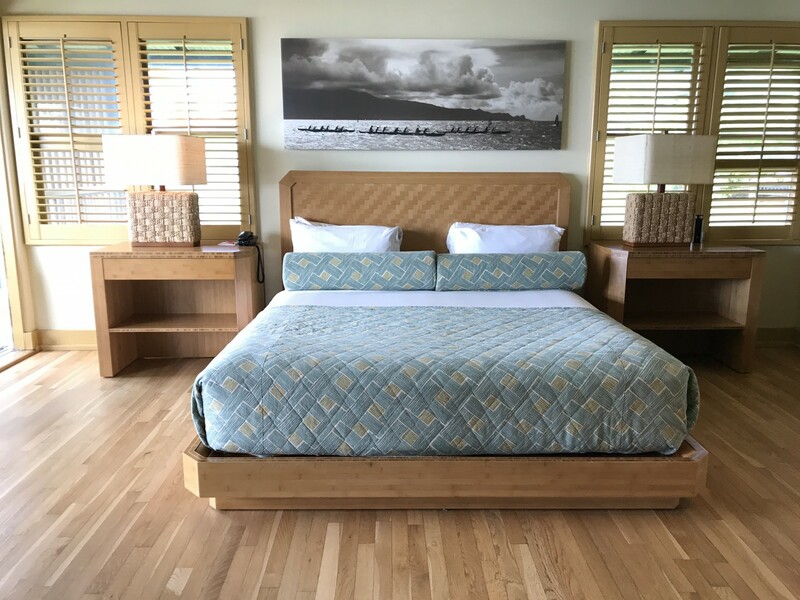 It’s not the place for you if you require five star service or strong A.C., but it’s a lovely place to use as a base to explore the Road to Hana and the Kīpahulu District of Haleakala National Park. 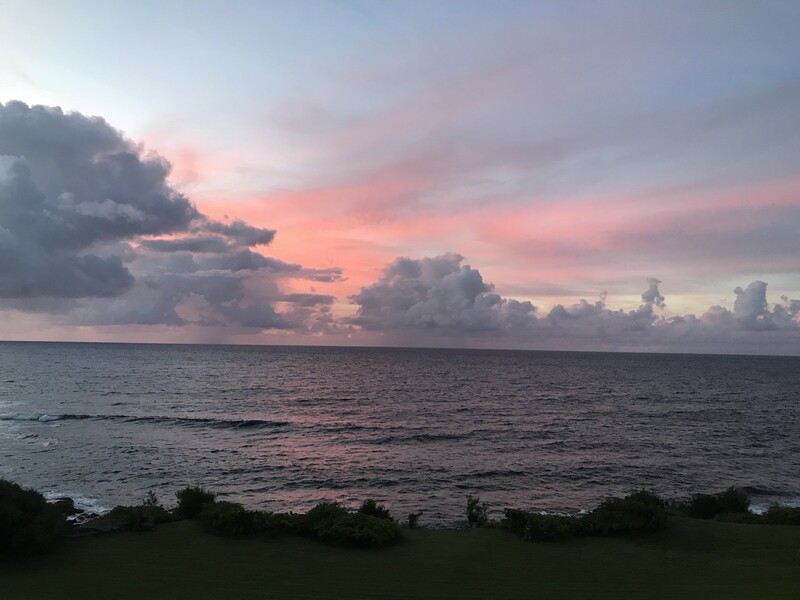 If you are staying at Travaasa, please keep in mind driving the Road to Hana after dark is dangerous and plan your driving time so that you arrive before dark. 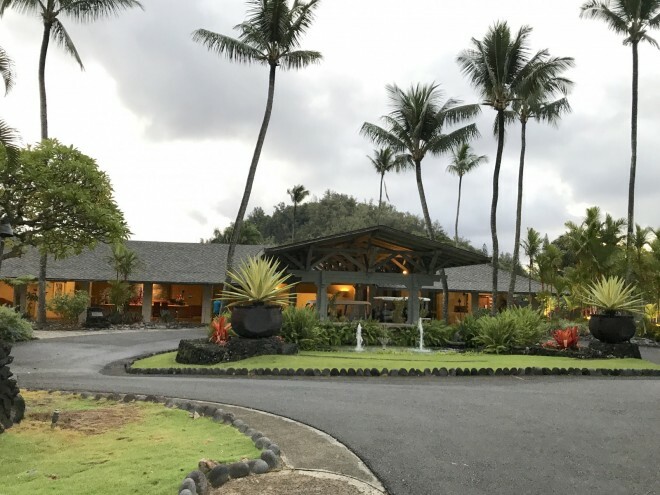 Hana doesn’t have a buzzing night scene but it a good night’s sleep can help you beat the crowds at some of the best attractions in the area by getting on the road early after a good night’s sleep. 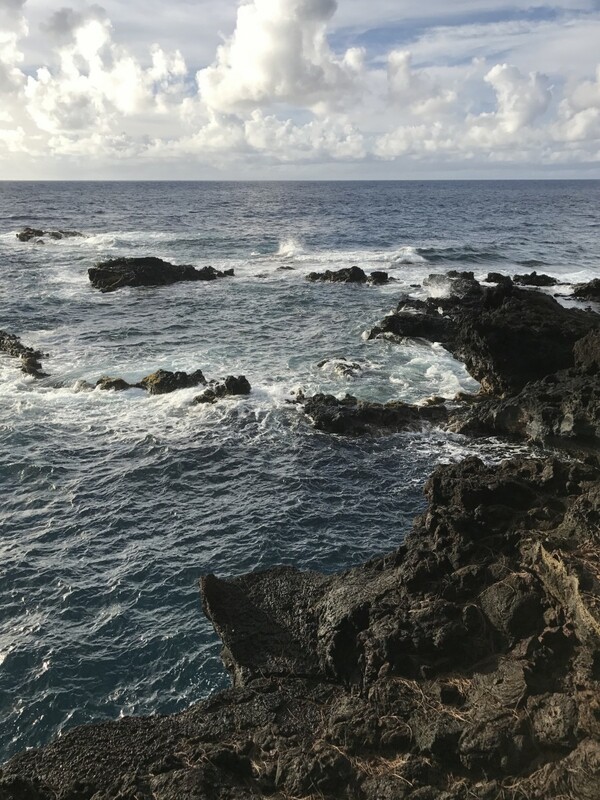 The vibe in Hana is chill and relaxed, so you just kind of go with it and enjoy the island vibe. It’s fantastic.